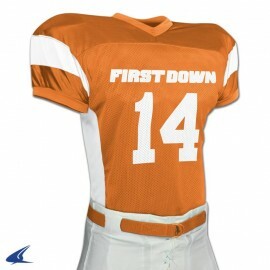 Chose from our great line up of quantity custom football jerseys that are affordably priced. 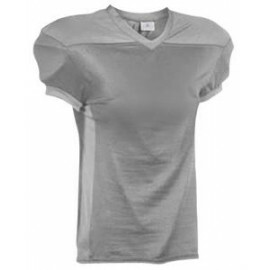 You will be a trendsetter on the field and enjoy big savings and unbelievable prices on football jersey’s from Maxxim Sports, Russell, Alleson Athletic, Teamwork Athletic, A4, Champro Sports, PPG Sublimated and Augusta Sportswear. 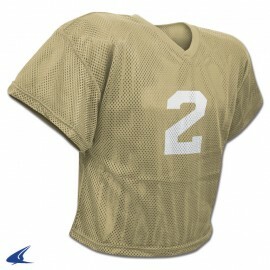 Custom decorate your new football jersey with screen printing, real stitch tackle twill and embroidery. 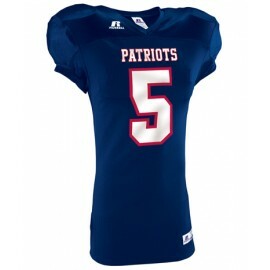 Looking for something a bit different and with an edge, check out our line of full dye sublmiated football jerseys and uniforms. 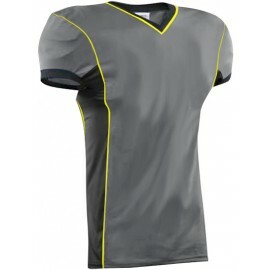 Dye sublimation is the most innovative process in the team uniform industry. 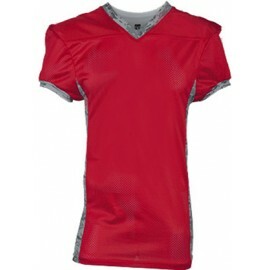 If you can imagine it, we’ll custom design just for you. 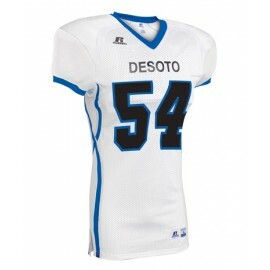 Personalized, custom football jerseys and uniform are our specialty. 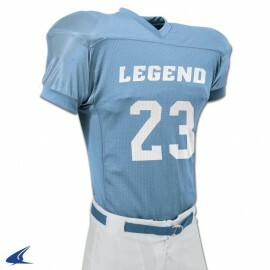 Whatever you need, you’ll win big at Football Uniforms Online. Give us a call today and find out what we can do for you.